Supreme Court ‘again’ surprised on listing of out of turn matters of the ‘influential’! A bench of Justices Madan Lokur and R.K.Agrawal reportedly expressed surprise over the listing of hearing on a DMK party leader's plea seeking removal of the public prosecutor and staying of Karnataka High Court proceedings on the appeal of former Tamil Nadu Chief Minister J Jayalalitha in the disproportionate assets case. The plea was last taken up for hearing on March 24 and the court had then deferred it to March 26. However, it featured again in today's list of business. Last year the current SCBA President Dushyant Dave and Prashant Bhushan had created a lot of furore on listing an ordering of the CIDCO matter by Justice C.K.Prasad. The review petition was disposed off by a bench headed by Justice Chelameshwar. Prashant Bhushan also wrote a letter to the Prime Minister on Justice Prasad’s appointment as PCI Chief and recently also has resorted the route of filing a PIL against the appointment recently. Recently, in a meeting with the bar, CJI Dattu had reportedly affirmed that listing of matters will be done with utmost care and notice. Not even a fortnight back, however, in a 630 Crore stake involving matter was posted out of turn to a bench presided by Justice Gogoi who took it very seriously and not only deferred the hearing but also questioned the SC Registry for placing cases of the poor languishing in jail instead of such non urgent matters. "We are also taken by surprise as we got to know that the same combination (of judges) is sitting today as well," the bench today said and deferred the plea for hearing tomorrow. Earlier, the court had issued notice to the AIADMK chief and other convicts - close aide Sasikala, two of her relatives and Karnataka government on the plea of DMK leader K Anbazhagan. He had sought removal of the public prosecutor Bhawani Singh, raising questions about his impartiality as prosecutor in the case and staying of appeal proceedings before the Karnataka High Court in the case. The court, however, had refused to stay the appeal proceedings before the Karnataka High Court and said that it would rather finally dispose of the petition. The apex court had in last December extended by four months the bail of Jayalalithaa and asked the Chief Justice of Karnataka High Court to constitute a special bench to decide her plea expeditiously within three months. On October 17, the apex court had granted conditional bail to Jayalalithaa who was sent to jail by a trial court on September 27. The 66-year-old politician, who had moved the Supreme Court for bail on October 9 after she was denied it by the Karnataka High Court, had submitted that she had been sentenced to only four years jail and was suffering from various ailments, as grounds for immediate relief. The Special Court had held Jayalalithaa and three others guilty of corruption. The court had also slapped a fine of Rs 100 crore on the AIADMK chief and Rs 10 crore fine on each of the three other convicts. 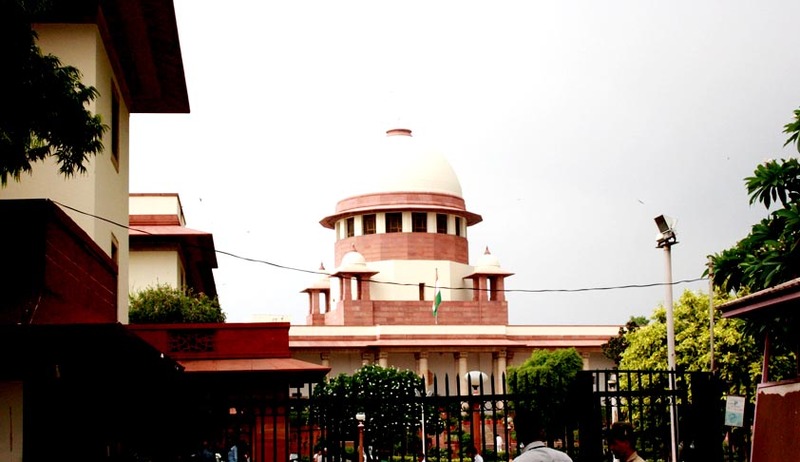 Ironically, almost all senior members of the bar and Hon’ble judges comment in various functions, seminars and reports (even judgments) upon how the Supreme Court is overburdened with work, yet the registry has been for quite some time placing matters which have been filed later than others and do not need urgent hearing. Even more ironically, a very senior member recently said that the Supreme Court is a place for the rich and not the poor. Article 14 still holds good law. Surprise expressed by few hon’ble judges and the constitutional vision of no discrimination diluted by other few! Acche din! Eh?